What's The Deal With Today's Video Game Logos? They say that we’re entering a new golden age for gaming. With the reveal of Facebook’s Oculus Rift, Sony’s Playstation VR, and SteamVR, virtual reality headsets have left the realm of farfetched ideas and crowdfunding sites, and will soon hit shelves with the capacity to play high-budget titles from major game studios such as Square-Enix, Rocksteady Studios, and Crytek. What is Super Smash Bros.? Super Smash Bros. is a smash-hit crossover fighting game in which familiar faces from the Nintendo brand compete to send one another flying off the stage. 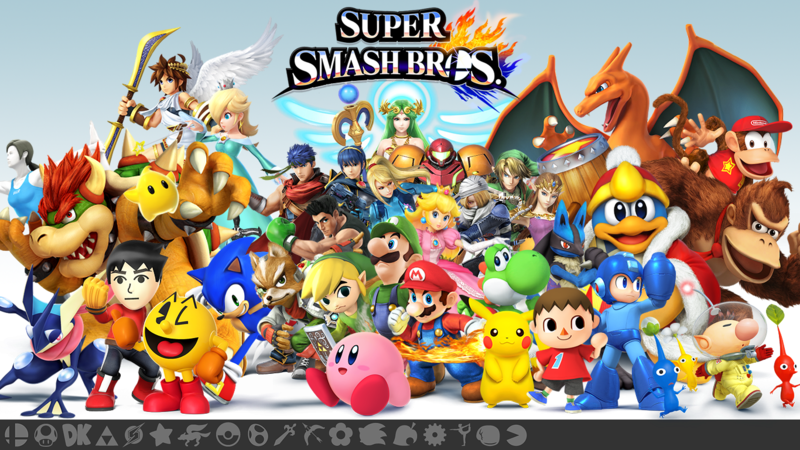 The game features renowned characters such as Mario, Link, Pikachu, Samus, and many more! Super Smash Bros. was originally released on the Nintendo 64, but now Smash Bros. is back with it’s fourth installment on the Wii U, along with the addition of many new characters!